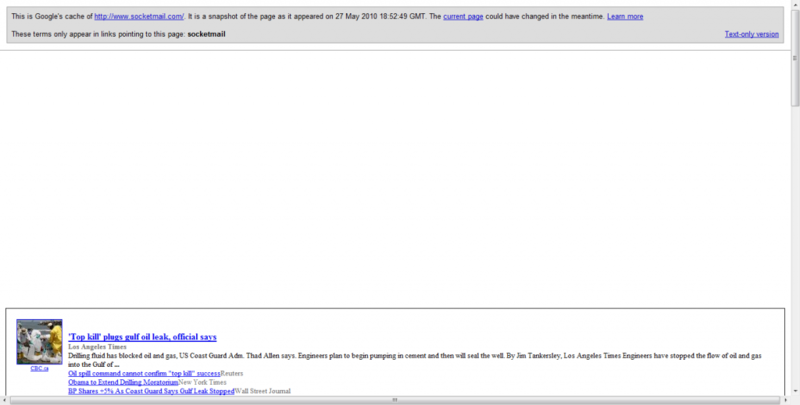 I finally decided today to dig deeper into the disappearance of the socketmail.com website. 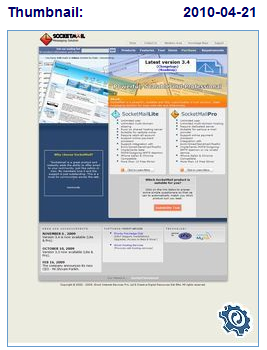 Socketmail closed down since the owners did not want to renew with our company. What will become of all the socketmail related websites, like socketmailsolutions.com, socketmailthings.com, etc… which are now dominating the search engines for the keyword socketmail?? Posted in Miscellaneous and tagged rdosti.com, shivam parikh, socketmail, socketmail closed down, socketmail website, socketmail.com by DaFiz with no comments yet. I have just been made aware that the socketmail.com website no longer exists. When I checked myself just now, it definitely wasnt showing the site it should be. The site that I was expecting to see is the one in the thumbnail dated 2010-04-21, which you should be able to see on the right. Now, when I did a cached lookup on Google ( http://webcache.googleusercontent.com/search?q=cache:FQW6NZKwfIMJ:www.socketmail.com/+socketmail&cd=1&hl=en&ct=clnk&gl=au&client=firefox-a ), the below image is what I found. Their site has been like this since atleast the 27 May 2010, but sometime after 21 April 2010 (based on the thumbnail that was taken on that date). I am not sure what has happened, but it almost looks like Socketmail forgot to renew their domain, and someone else has picked it up when it dropped. But that doesnt explain why it looks so dodgy. Else, they were hacked 4+ days ago and they still havent realised. Anyone know how to contact the guys at Socketmail? For their take on the events. Posted in Miscellaneous and tagged dropped domain, google cache, hacked, socketmail, thumbnail by DaFiz with no comments yet.